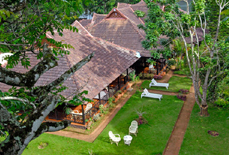 Nestled close to Periyar Wildlife Sanctuary and the harbor 'Periyar Boat Landing', Jungle Park Resort Thekkady is an ideal accommodation for guests. 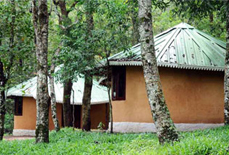 The resort offers a spectacular view of the national park giving the guests the true feel of being in a jungle. 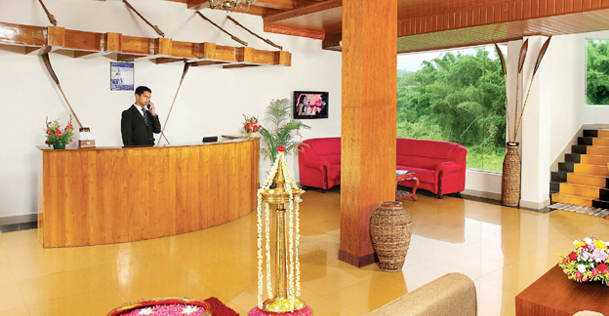 The heartwarming hospitality of the cordial staff never lets you feel that you are away from home. 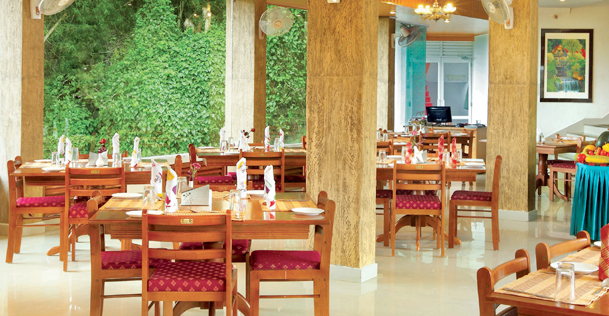 Kripa – the on-site restaurant features traditional Kerala decor and serves guests with delicious cuisines. 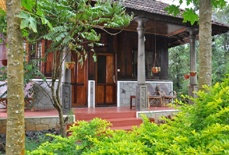 You can also rejuvenate yourself by participating in Ayurvedic Rejuvenation program and have fun with outdoor games. 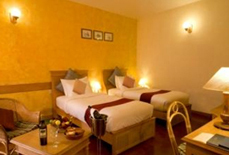 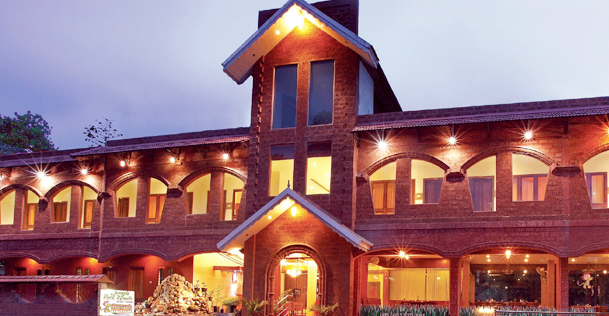 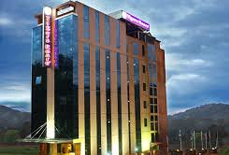 The resort also has a business centre which makes it ideal for corporate travelers. 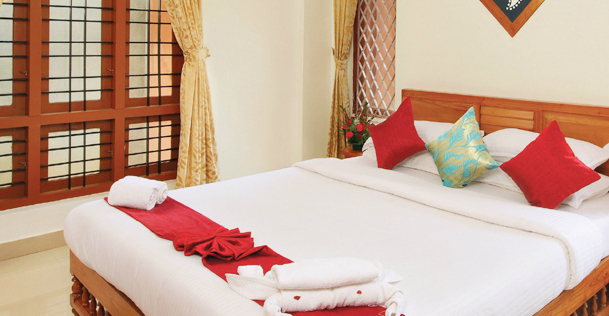 Living units at the resort are spacious and spotlessly clean and feature stunning décor. 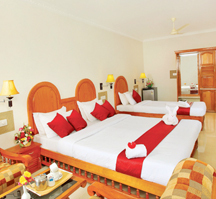 In short, the resort is value for money in every sense for travelers with a shoe-string budget. 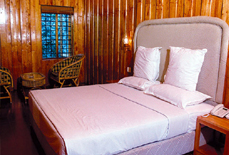 Accommodation: The resort has 20 living units which are categorized as Jungle View Super Deluxe Non AC rooms, Jungle View Super Deluxe AC Room, Triple Deluxe Room, and Family Suite Room. 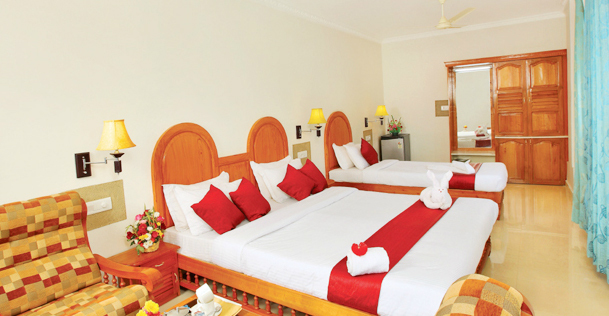 All the rooms are designed in such a way that they get enough natural light. 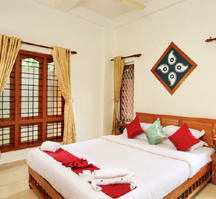 Traditional wooden furnishing in the rooms looks great. 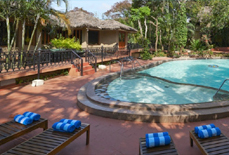 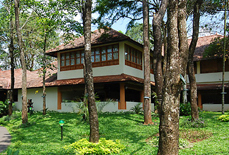 The resort is just 2.5 kms away from Thekkady Boat Jetty and approx. 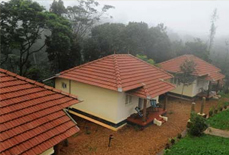 105 kms from Kottayam railway station. 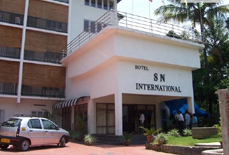 Cochin international airport is around 155 kms away from the resort. 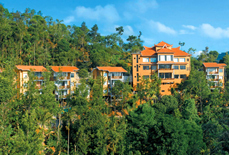 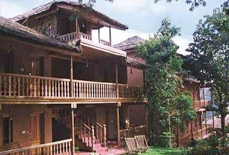 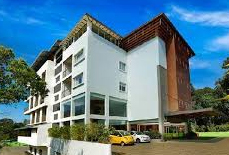 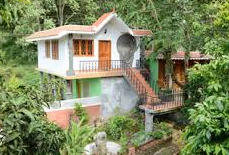 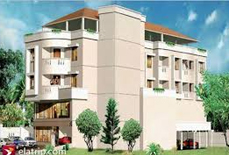 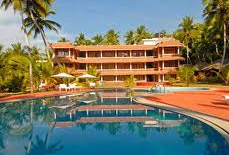 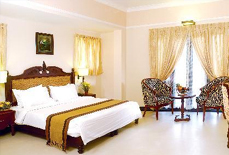 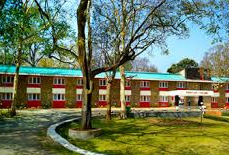 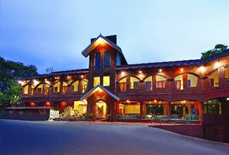 The resort is also well connected by road with various other major cities of Kerala. 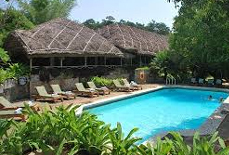 The resort is just 1 km from Kumily bus stand.